Our love affair with Lowchen began about 17 years ago. We had a rescue dog by the name of Schooner who was a lab/dalmation cross. 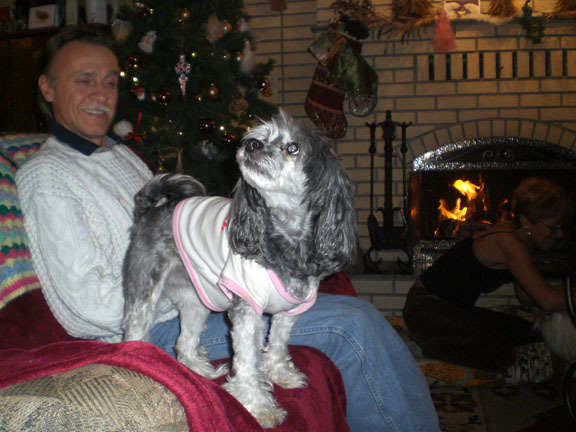 While she was a great pet and a beautiful dog, she was getting up in age and my husband said our next dog should be non-shedding and hypo-allergenic as he is very asthmatic. So began our research on what breed of dog would best fit our family. My one daughter who was about 14 at the time saw a Lowchen in the Dogs in Canada Magazine and said “I want this dog”. I looked at the picture and shook my head saying I had never heard of it and the only breeders listed were in Ontario. So I told her we were still searching for the perfect breed. By now I had read many books from the Library on how to find a breed and make your choices down to a few and then go to the local dog show and talk to breeders, see the dogs in person etc. So off I went to the dog show. As I was leaving I spotted a woman grooming a …could it possibly be … a Lowchen from the picture in the magazine. Sure enough it was and she was planning a litter later in the year. I dragged the whole family down to the dog show and we were all smitten. So we acquired our first Lowchen, Angel. 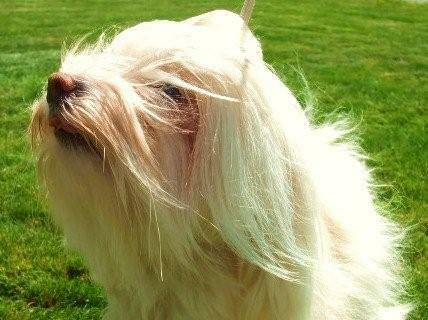 Her breeder, Jayne Lapointe mentioned to me that it would be wonderful if she were shown. Jayne said there were few shows to go to so I naively agreed to do this. I then got bitten by the show bug. Believe it or not, Jayne and I have also become good friends and she has been a wonderful mentor. 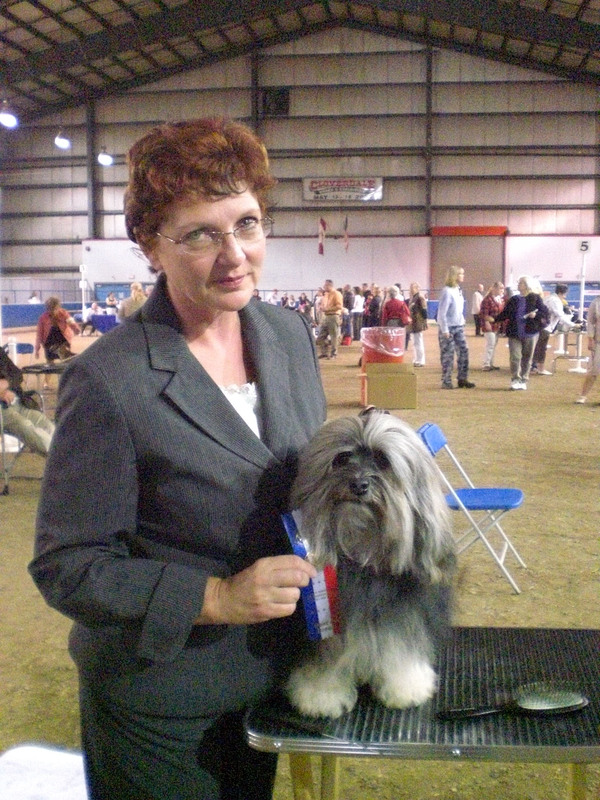 From there, I joined our local kennel club in which I have become very involved and am now past president. I also became involved with the Lowchen Club of Canada, having held the position of President and Treasurer and currently I am the BC Director. So here we are 17 years later having had many Lowchen come and go through our home ; some have stayed, some have come to visit and others like our latest litter go on to become pampered pets and show dogs. Our dogs have given us so much over the years and through the dogs we have met so many wonderful people from many walks of life world wide. We wish to share our love affair with you. Angel, our first lowchen is now retired from showing and in a "pet clip." Here she is enjoying some quality couch time over the holidays.